When the fae kidnapped Violet they underestimated Arianna, Queen of the wolf shifters. There was literally nothing she wouldn't do to save her best friend. Which is why she sets out with her mate and pack of dominants to rescue the magic born from the fae lands. Arianna must now save her friend and herself. Because the fae have been waiting for her, and she's just walked right into their trap. Ari's best friend Violet has been captured by the Winter court and the only way to save her is to travel into the Otherworld and rescue her. Together with her mate, a few of her wolves, her familiar and a magic born they risk their lives to travel just through the portal into the Otherworld. Since losing her crown to her rival she's been banned from her home, and using the mecca to jump worlds will paint a target on her back. Having successful arrived in the Otherworld they split up hoping to draw less attention as they journey towards the Winter Court. Finding Unlikely allies among the fae as well as finding friendship among the Summer court. However, rescuing Violet won't be the only challenge she will learn that she's not just a shifter like she always thought and the secrets that the Red Queen kept hidden are about to come out. Will they make it out with everyone and back to the New York? Or will the Winter Queen get what's she wants and Ari to turn over her very soul. I love Ari she's a sweetheart caring about her people before herself even her own guards who are to protect her. I love Kade he's a perfect match for her they complement each other in every aspect and they will change the shifter world forever. We've gotten to know a little more about Ari's friends that like her they would risk it all to save her which I think proves that she's meant to be Queen. I've been putting this off because I know the end is coming and I love the series so much. This installment was intense lots of action as Ari and Kade risked it all to save her friend. We even get a little bit of sweet romance between our duo when they have some downtime. The authors have created a exciting new shifter world that captures the heart as well as the imagination. 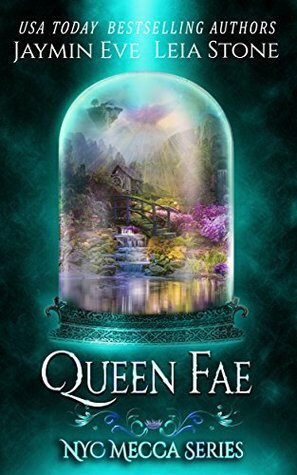 Every installment has been hard to put down I read Queen Fae in just a single afternoon I had to know how it was going to end. I can't wait to get my hands on the next book and see how it will all play out. I loved the story and each installment just keeps getting better and better becoming one of my favorite shifter series. Highly recommend.